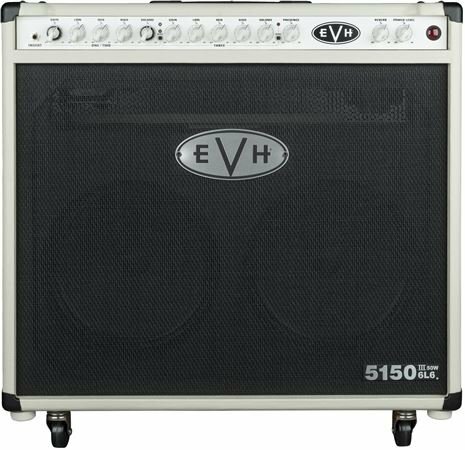 Order your EVH 5150III 50 Watt 6L6 2x12 Tube Combo Amp from AMS and enjoy 0% Interest Payment Plans, Free Shipping, Free Extended Warranty & 45 Day Money Back Guarantee. 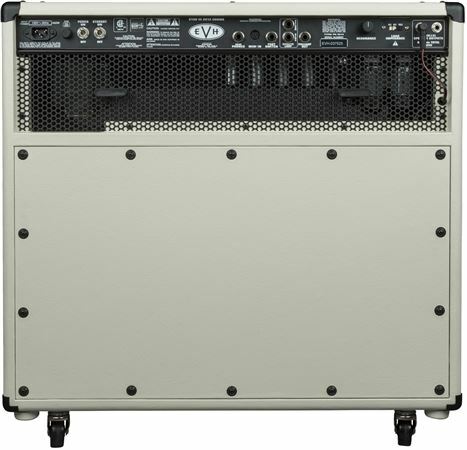 Loaded with dual 12” custom special designed EVH Celestion speakers to enhance and refine both your sound and your style, this combo amp also has seven JJ ECC83 (12AX7) preamp tubes, two JJ 6L6 power tubes, and front-panel adjustable power output from 50 watts down to one watt! 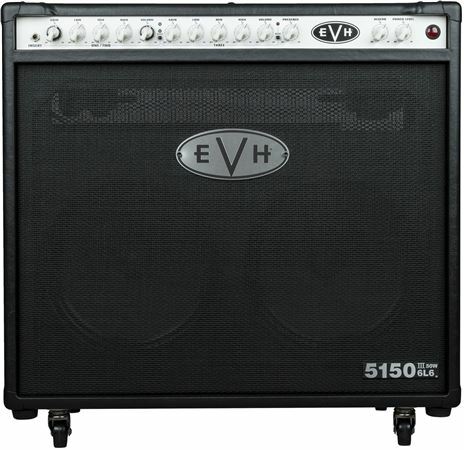 From the practice room to the stage, this EVH combo can truly rise to any occasion! The cabinet is constructed out of birch with special internal baffling for tight and increased bass response. 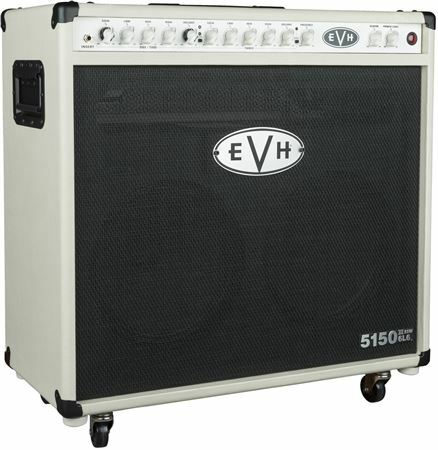 Wrapped in stylish Black or Ivory vinyl, the EVH 5150III 50W 6L6 212 Combo is finished off with vintage-style chicken-knobs, red LED jewel indicator, molded black plastic top handle and pop-out casters. 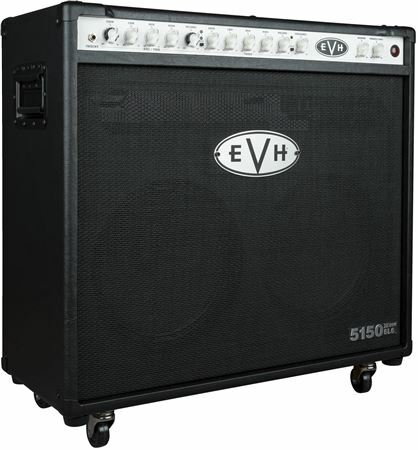 A high-quality fitted cover is available as an EVH Accessory (sold separately). Just got mine in earlier today. Sounds like it should. Very happy with the amp. Reverb sounds killer and the gain in it is unmatched. Highly recommend this amp to anyone that likes heavy music. You will want a noise gate in this amplifiers effects loop due to the shear amount of gain you can crank this amp to. 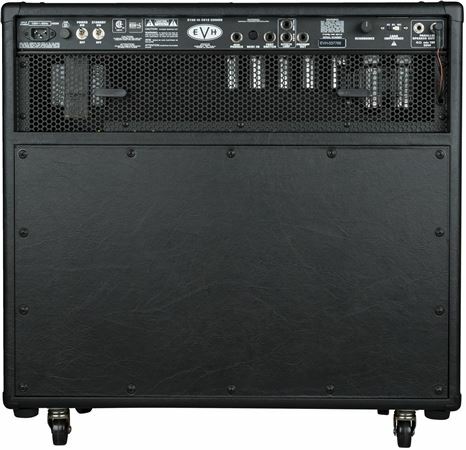 Definitely a good amp if you like to play lead. Clean tone is non existent but you can dial in the first channel to get a pretty good clean sound. Awesome Amp with full control of all the channels! Finally Evh got the combo right with this updated version of the 2x12 combo. All of the channels are usable and you have control of the clean, blue and red channels finally! This amp sounds great and with the built in Midi, Power attenuator and Reverb this is the perfect all in one gigging or bedroom combo amp. I love this thing!